Avira Operations have now released Avira Free Antivirus 2016 which is latest version. It is an antivirus program used to protect against digital threats. 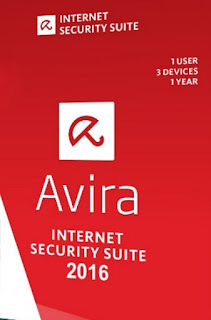 Get Avira Free Antivirus 2016 Latest offline Installer for free. It is widely used for protection, security and privacy on computers. It works on all versions of Windows and comes in a setup file supported both on 32 and 64 bit OS. This antivirus has the highest number of success rates in scanning and detecting harmful viruses and threats in a PC. There are two different variants of Avira one which you can free download and the other is paid that comes in a full version. It has the most up-to-date virus definitions of 2016 which are not available in any other protection program out there with 100% accuracy. Avira Antivirus has lots of rich tools and options and one of them is real time cloud scanning. It scans the files in your computer silently for threats by matching it with familiar files to see if it can detect any suspicious activity, also found in AVG Antivirus 2016. There is also a web browser extension which scans links and web pages in real time for harmful viruses before you open them. It is available for Google Chrome, Mozilla Firefox and many more. It also includes Anti-spyware program along with it which makes sure no one is spying on your computer, devices or network, along with stealing sensitive data. Along with basic computer protection it has internet security which comes in premium build of this tool. The developers are placed in Germany but they have now in all the world and have headquarters in Europe, Asia and America. There are also other protection suites such as Avira Antivirus Pro 2016 and many others like Smadav and USB security. It scans all of the external devices connected to a computer before it gives it access to the system files to make sure it's not an infection of malware, Trojan or worm. Avira downloads fresh updates of new virus signatures almost every day to make sure its customers are happy and secure at the same time. There is also protection services for mobile devices running Android and iOS along with Linux and UNIX systems. It has won lots of awards of being the perfect protection software for computers and other devices as it requires low system requirements to run. There is also a website safety advisor that warns you (if necessary) when opening a site if it is dangerous or does not have a good trust score. There are licenses that you might need to purchase to activate it after the 30 day testing period expires.